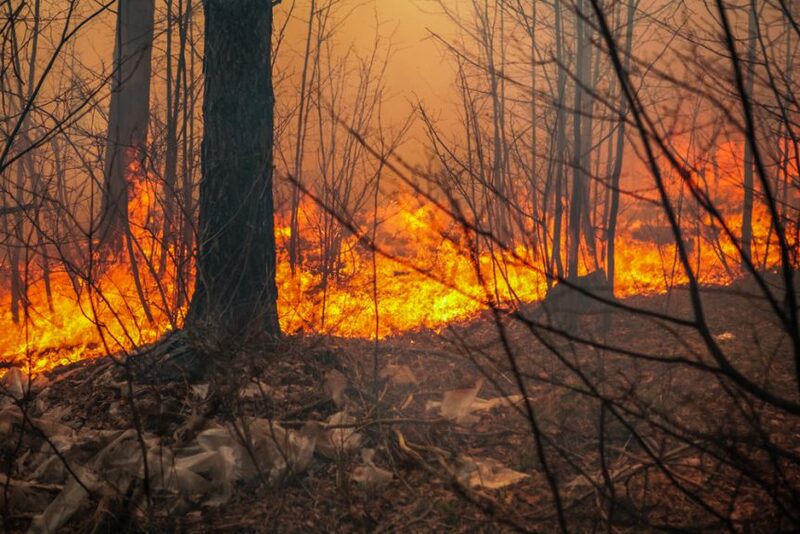 The U.S. Department of Agriculture (USDA) will invest nearly $32 million this year to mitigate wildfire risk, improve water quality and restore healthy forest ecosystems in 24 states and Puerto Rico. Since 2014, USDA has invested $176 million in 56 Joint Chiefs’ Landscape Restoration Partnership Projects, which focus on areas where public forests and grasslands intersect with privately-owned lands. “Through Joint Chiefs, the Natural Resources Conservation Service (NRCS) works with agricultural producers and forest landowners to improve forest health using available Farm Bill conservation programs, and the Forest Service enhances forest health on public lands — stitching together a larger footprint of healthy ecosystems in priority areas,” said Leonard Jordan, acting NRCS chief. This year the Joint Chiefs’ partner USDA agencies are providing $2.9 million to fund seven new projects and $29 million to support 21 ongoing partnership projects. Federal, state, and local partners will bring an additional $12 million through financial and in-kind contributions over three years to implement the newly added projects. These contribute to jobs and economic benefits that sustain rural communities. Along with mitigating fire risk, Joint Chiefs’ projects work to improve water quality by restoring healthy forests and grasslands. For example, one of the new 2018 projects, Sublette County Forest Collaborative: Working Together for Forest Health, specifically addresses protecting the sole drinking water source of Pinedale, Wyoming, near the Bridger Teton National Forest. The project area includes lands managed by the Forest Service, Bureau of Land Management, State of Wyoming and private landowners in Sublette County, Wyoming. In addition to improving water quality, project goals include providing fire protection for rural residents, restoring aspens, and habitat improvements for mule deer, greater sage-grouse and pronghorn. USDA will invest more than $700,000 in this project in 2018. Descriptions of the remaining six new projects follow. For full project descriptions and information on completed projects, visit the Joint Chiefs’ Landscape Restoration Partnership website. By implementing restoration activities on public and adjacent private lands, this ecosystem and its suite of species, will experience accelerated forest restoration at a landscape-scale, reduced wildfire risk, increased appropriate understory vegetation and pollinator habitat, control non-native and invasive species, and protect water quality. Prior to human occupation, fire in Hawaii occurred once every 700 to 1,000 years. In the last decade, several major wildfires burned thousands of acres in West Maui alone, mostly occurring in drier regions. 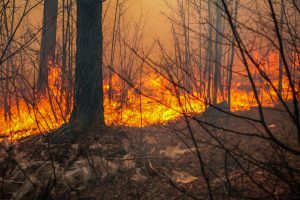 Because of the enormous damages associated with these fires, the project will help implement the partner’s new Community Wildfire Protection Plan. Partners and stakeholders are working to accelerate the restoration of longleaf pine and other native ecosystems on public and private lands. The restoration of native trees and ecosystems will expand to include shortleaf pine. Partners: LA Department of Wildlife and Fisheries; LA Department of Agriculture and Forestry; US Fish & Wildlife Service; Soil and Water Conservation Districts; The National Wild Turkey Federation; The Nature Conservancy; LA Forestry Association; and USDA APHIS-Wildlife Services. Nearly 290,000 acres are included this project which targets high-priority treatment areas benefiting the water supply source for the more than 30,000 residents of Helena and East Helena, Montana. The Capital 360 effort continues to build on the successful implementation of smaller-scale fuels reduction projects by various entities in the project area. This project includes 280,000 acres of contiguous landscape including a range of vegetation types from piñon/juniper woodland to spruce/fir. The area encompasses most of the headwaters of the Rio Grande within Taos County; waters that are critical to the economy and well-being of New Mexico’s most populous areas such as Taos, Santa Fe, and Albuquerque. Partners: Carson National Forest; Grande Water Fund-LOR Foundation; New Mexico Water Trust Board; Taos County; and Taos Pueblo. The project will help mitigate flooding, erosion and other impacts of extreme weather events. Partners will implement conservation practices such as: establishment of vegetation and tree planting, erosion control measures, nutrient and waste management, establishment of fire breaks and wind breaks, propagation of native species for agroforestry practices and forest enhancement, habitat restoration for targeted species, debris and obstruction removal. Partners: Caribbean NRCS; Envirosurvey, Inc.; Cafiesencia, Inc; Protectores de Cuencas, Inc.; Puerto Rico Conservation Trust; Para la Naturaleza; and USFWS Caribbean Ecological Services Field Office.